Spiritual culture tourism has been becoming one of the main trends of tourism development in Vietnam. Its development is not only to provide benefits for economic, social, and cultural issues but contribute to the enhancement of spiritual life of tourists as well. An Giang is a province in the Mekong Delta region of Vietnam, which has many potentials to develop spiritual culture tourism. However, like other provinces/cities in Vietnam, An Giang has not developed this type of tourism soundly and effectively. Therefore, the main purpose of this research is to investigate tourists? evaluations on contemporary situation and to understand influencing factors to the development of the spiritual culture tourism in An Giang. 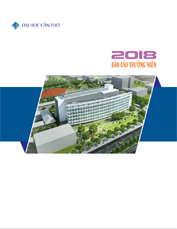 Based on outcomes, the paper points out the practical foundations for the executing solutions to improve and enhance the quality of spiritual culture tourism which are important backgrounds to stimulate the development of An Giang tourism industry.